All paralysing self-distrust has to be discouraged, all doubt of our strength to accomplish, for that is a false assent to impotence, an imagination of weakness and a denial of the omnipotence of the spirit. 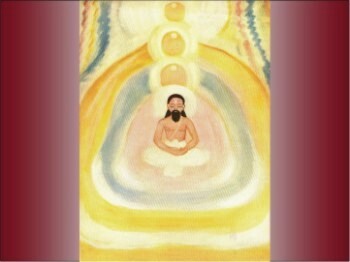 A present incapacity, however heavy may seem its pressure, is only a trial of faith and a temporary difficulty and to yield to the sense of inability is for the seeker of the integral Yoga a non-sense, for his object is a development of a perfection that is there already, latent in his being, because man carries the seed of the divine life in himself, in his own spirit, the possibility of success is involved and implied in the effort and victory is assured because behind is the call and guidance of an omnipotent power. All these defects you know are in you; to cast that out may take time, but if the will to be true to the inner self in all ways is strong and persistent and vigilant and always calls in the Mother’s Force, it can be done sooner than now seems possible. In all doubt and depression, to say, ‘‘I belong to the Divine, I cannot fail’’; to all suggestions of impurity and unfitness, to reply, ‘‘I am a child of Immortality chosen by the Divine; I have but to be true to myself and to Him — the victory is sure; even if I fell, I would rise again’’; to all impulses to depart and serve some smaller ideal, to reply, ‘‘This is the greatest, this is the Truth that alone can satisfy the soul within me; I will endure through all tests and tribulations to the very end of the divine journey’’. This is what I mean by faithfulness to the Light and the Call. Could never have disclosed its hidden mind.